Comfort at a pocket-friendly cost for your days in Chennai. Hotel Day Inn is an ideal choice for those looking for a pocket-friendly and a classic stay in Chennai. The hotel has a regal ambience equipped with modern amenities for the smart traveller. The rooms are spacious and well-lit with minimal decor which makes the place desirable and comfortable. The seating area is spacious and well-decorated with a shining chandelier. Key attractions like Valluvar Kottam, Karaneeswarar Temple and Vadapalani Murugan Temple is near the hotel. 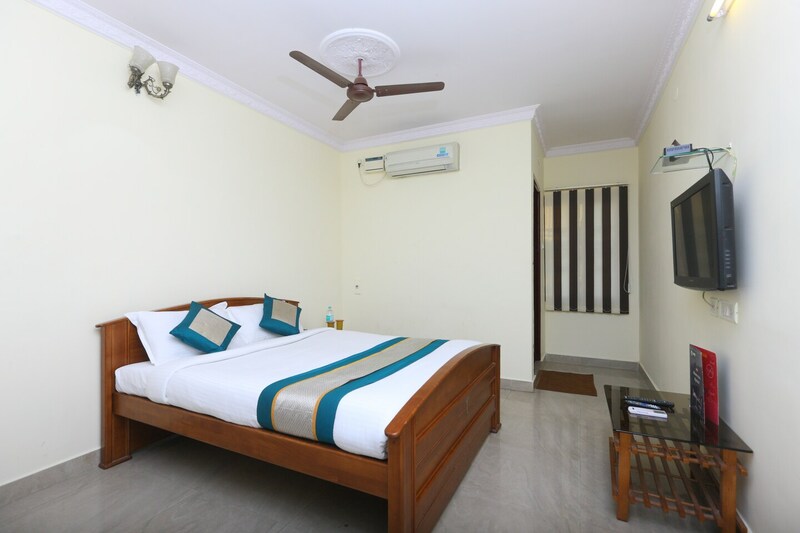 The hotel is located near Panagal Park Bus Stop, Mambalam Railway Station, and Vadapalani Metro Station, making it convenient for outstation guests.